Dr. Nabili received his undergraduate degree from the University of California, San Diego (UCSD), majoring in chemistry and biochemistry. He then completed his graduate degree at the University of California, Los Angeles (UCLA). His graduate training included a specialized fellowship in public health where his research focused on environmental health and health-care delivery and management. What Is C-reactive Protein (CRP)? What Is the C-reactive Protein (CRP) Test? Are High Levels of C-reactive Protein a Risk of Heart Disease? What Are Normal, Low, and Elevated Ranges for C-Reactive Protein? Who Needs C-Reactive Protein Testing? What Is the Treatment for High C-reactive Protein Levels? Can Elevated Levels of C-Reactive Protein be Prevented? What Is the Outlook for a Person with High C-reactive Protein Levels? C-reactive protein (CRP) is a marker of inflammation in the body. Therefore, its level in the blood increases if there is any inflammation in the body. C-reactive protein, along with other markers of inflammation (erythrocyte sedimentation rate, "sed rate," or ESR) are also sometimes referred to as acute phase reactants. C-reactive protein is produced by the cells in the liver. 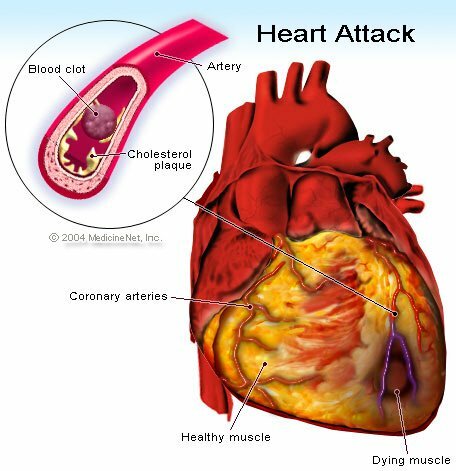 Although the c-reactive protein level does not provide any specifics about the inflammatory process going on in the body (such as the location of the inflammation), it has been linked to atherosclerotic vascular disease (narrowing of blood vessels) by many studies. Atherosclerosis of blood vessels is thought to have an inflammatory component, and this may explain the link between this process and elevation of c-reactive protein. Atherosclerosis can exist in varying stages. The basic theory suggests an injury to the blood vessel walls that occurs slowly over time. The site of initial injury then may become a focus for plaques to form, which contain inflammatory cells, cholesterol deposits, and other blood cells which are covered by a cap inside the lining of the blood vessels. This may represent a stable area of narrowing, or atherosclerosis, with mild inflammatory activity. These lesions can develop throughout the body in different degrees, and they can increase in size over time. Occasionally, the cap on one of these plaques can rupture and cause a more acute inflammatory process that results in impairment of blood flow in the involved vessel, leading to heart attacks or strokes when this occurs in the coronary arteries or arteries within the brain, respectively. It is important to recognize that CRP, similar to other markers of inflammation, can be elevated because of any inflammatory process or infection and, thus, its interpretation needs careful assessment of the entire clinical picture by the ordering physician. Other inflammatory processes, such as active arthritis, trauma, or infections, can raise the c-reactive protein level independently. Because of the these variables and fluctuations, it is also recommended by the U.S. Centers for Disease Control and Prevention (CDC) to measure fasting and non-fasting c-reactive protein levels ideally two weeks apart, and to use the average of these two results for a more accurate interpretation if the CRP level is used as a screening tool for cardiovascular disease. CRP levels of 1 mg per liter or lower are considered low risk for cardiovascular disease. CRP levels of 1-3 mg per liter are considered moderate risk for cardiovascular disease. CRP levels greater than 3 mg per liter are considered high risk for cardiovascular disease. CRP levels greater than 10 mg per liter may suggest an acute coronary process, such as heart attack (acute myocardial infarction). High c-reactive protein levels may predict a higher risk for cardiovascular disease alone or in combination with these other known predictors. Some studies have suggested an elevated risk for cardiovascular disease associated with elevated c-reactive protein levels even after correcting for the other risk factors. A relation also seems to exist between an increased c-reactive protein level and the presence of known cardiac risk factors, such as advanced age, diabetes mellitus, elevated cholesterol, increased body mass index (BMI), obesity, and cigarette smoking. This may be possibly related to ongoing inflammatory atherosclerosis in these individuals because of their risk factors. Despite these associations, research has not clearly and consistently established c-reactive protein as an independent risk factor for cardiovascular disease, as the data seem to be inconsistent from different studies. It has been proposed that elevated c-reactive protein is an independent predictor of atherosclerosis among healthy men and women. CRP is measured in the blood from a blood sample that is sent to a laboratory for analysis. Traditionally, CRP levels have been measured within the 3 to 5 mg/L range in assessing for inflammation. High sensitivity CRP (hsCRP) tests able to measure down to 0.3 mg/L -- which is necessary in risk assessment for vascular disease -- are available. Some experts recommend routine measurement of hsCRP along with cholesterol measurement as a screening tool for cardiovascular disease. However, this is not a widely accepted recommendation and its practice remains controversial. However, if CRP screening is performed, then two separate measurements need to be done (ideally done 2 weeks apart) with the average of the measurements used to assess risk. Any therapy to lower CRP levels focuses on lowering the cardiovascular risk factors. Regular exercise, appropriate diet, and smoking cessation are in the forefront of cardiovascular risk prevention and reduction. Cholesterol-lowering medications (statins) have been linked to lowering of CRP levels in individuals with high cholesterol. The fall of CRP levels may occur even without significant improvement in cholesterol levels. The use of aspirin in healthy individuals was not shown to reduce CRP levels significantly. However, in patients with cardiovascular disease and elevated CRP, the reduction of cardiovascular risk and CRP levels was noted after aspirin use. Some oral diabetes medicines, thiazolidinediones (rosiglitazone and pioglitazone), were noted to reduce CRP levels in patients with or without type 2 diabetes. This effect was independent of their glucose-lowering effects. Routine follow-up with a doctor is recommended for the proper management of conditions that are known risk factors for cardiovascular disease, such as diabetes, high blood pressure, high cholesterol, and heart disease. Prevention of elevated c-reactive protein levels is meaningful in the context of prevention of cardiovascular risk factors. Preventive measures with diet and exercise, smoking cessation, weight loss, and appropriate management of diabetes, high blood pressure, and high cholesterol are known to lower cardiovascular risk in general. The outlook on elevated c-reactive protein depends on the associated factors causing it. In terms of cardiovascular disease, lower levels of c-reactive protein may be associated with lower overall risk of disease and a better outlook for the patient. Pearson, TA, Mensah, GA, Alexander, RW, et al. Markers of inflammation and cardiovascular disease: application to clinical and public health practice: A statement for healthcare professionals from the Centers for Disease Control and Prevention and the American Heart Association. Circulation 2003; 107:499. Ridker, PM. Clinical application of C-reactive protein for cardiovascular disease detection and prevention. Circulation 2003; 107:363. Did you have high levels of C-reactive protein? If so, what did your doctor advise to lower your risk for cardiovascular problems? Please share your experience with elevated or low levels of c-reactive protein. What was the cause and symptoms of your elevated levels of c-reactive protein? What steps have you taken to prevent elevated levels of c-reactive protein again?